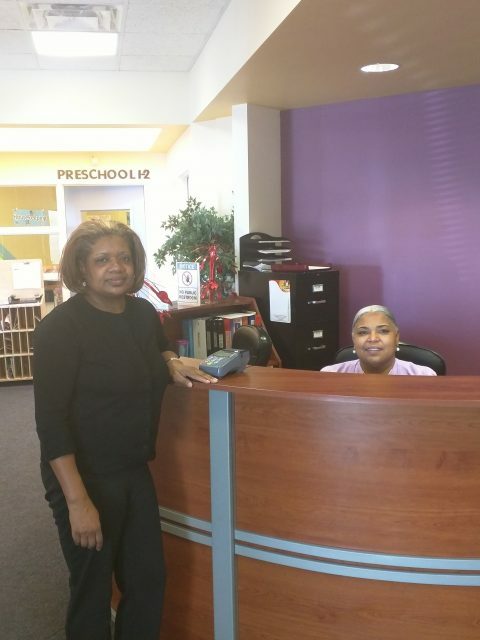 Established in 2002 by owner Shonnetta Hill, Learning to Grow, Inc. and Affiliates (“LTG and Affiliates”) serve families with a substantial need for traditional and non-traditional child care services in Cleveland and North Randall, Ohio. The business seeks to have a positive impact on the community by providing a safe and healthy learning environment. Learning to Grow was a small child care business that operated out of four leased locations until 2011. In 2011, Ms. Hill combined the four centers into two: she purchased and renovated 5407 Euclid Ave in Cleveland; and she leased a second location at 21640 Miles Road in North Randall, Ohio. The two locations employ 40 and serve between 180 to 200 children during the school year and 200 to 220 during summer. LTG and Affiliates enjoyed a good and extensive banking relationship with its bank until 2014 when the harsh winter caused day care enrollment to drop which adversely impacted its financial results. Although making payments on time, Shonnetta and LTG and affiliates were asked by their bank to move the entire relationship. GAF proposed refinancing all the business’ loans with the bank. Through two fully amortizing loans totaling $1,245,000, one loan payable over 25-years and the other over 10-years, GAF refinanced all the business loans with the bank. GAF’s long-term financing included replacing short-term with long-term financing and new permanent working capital to fund rebounding enrollment and revenue growth – hallmarks of GAF’s economic development lending strategy. This long-term, patient financing solution from GAF means that this business will continue to provide quality child day care needs in one of our country’s distressed cities. National Plating Corporation, or NPC, as it is commonly referred to, was established in 1946 and is in the business of electro zinc plating. 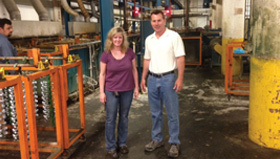 NPC, located in Cleveland, is currently operated by Mark Palik, the SBCs third generational owner. The company prides itself in the high quality outcomes of its plating process and this has been reflected in the 66% revenue growth the company has achieved since 2010. The impact of the growth forced the owner to upgrade his shop equipment in 2013. GAF provided NPC with a $382,000 loan to be used for a new waste water treatment system, upgrades to the existing plating line controls, a new small barrel plating line, and upgrades to accounting and job costing systems. Royalton Music Center, Inc. was established in North Royalton, Cuyahoga County, OH in 1964 by Laura Haas Amafo’s Grandfather. 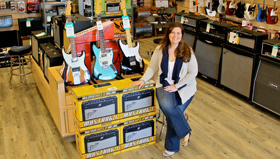 She is now the owner and operator of the Royalton Music Center. The store specializes in instrument sales and rentals, lessons, sheet music and instrument accessory sales, instrument repair, and music therapy. Instruments, accessories and sheet music are retailed in the store and online and rentals can be ordered online and picked up at the store on Royalton Road. Customers include K-12 students, hobby musicians, professional musicians, and schools in Cuyahoga County and northeast Ohio. GAF has provided 2 loans to RMC. The first loan, for $800,000, was used to acquire and improve a needed new location in 2010. A relationship was formed between RMC and GAF which resulted in a second loan in 2013, for $345,000, providing much needed working capital to the fast growing business. © 2015 National Development Council.